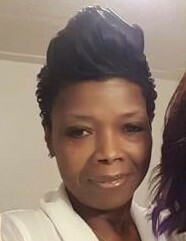 Ms. Theresa Bryan, 53, of Charleston, SC, entered into eternal rest on Tuesday, October 16, 2018. The relatives and friends of Ms. Theresa Bryan are invited to attend her Celebration of Life Service 11:00 AM, Saturday, October 27, 2018 at Calvary Church of God in Christ, 302 Jeffs Circle, Goose Creek, SC. Interment - Promiseland Cemetery, Moncks Corner, SC. Visitation will be held Friday, October 26, 2018 from 6:00 PM - 8:00 PM at the mortuary. Ms. Bryan survived by her mother, Ernestine Bryan; her beloved children, Tocarra (Lionel) Gilliard, Tiffany Bryan, Ashley Jamison, and Ta'nyia (Monterris) Goings; devoted special friend, Theodore "Ted" Washington; grandchildren, siblings; and a host of nieces, nephews, aunts, uncles and cousins.